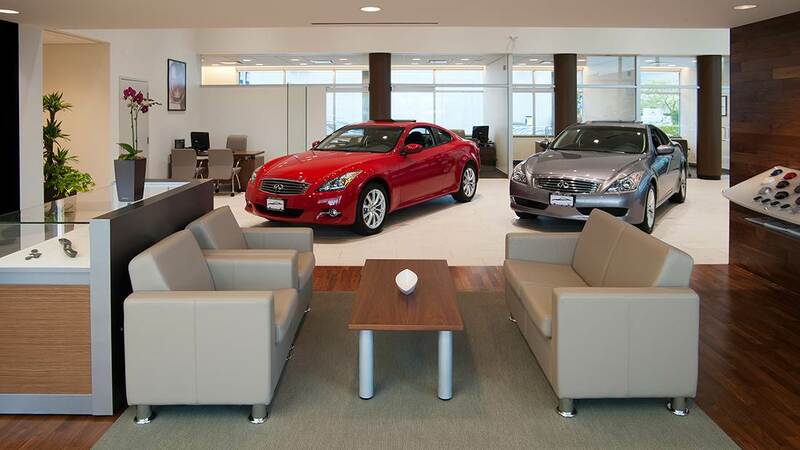 Two sleek, eye-catching auto dealerships designed for modern practicality and comfort. 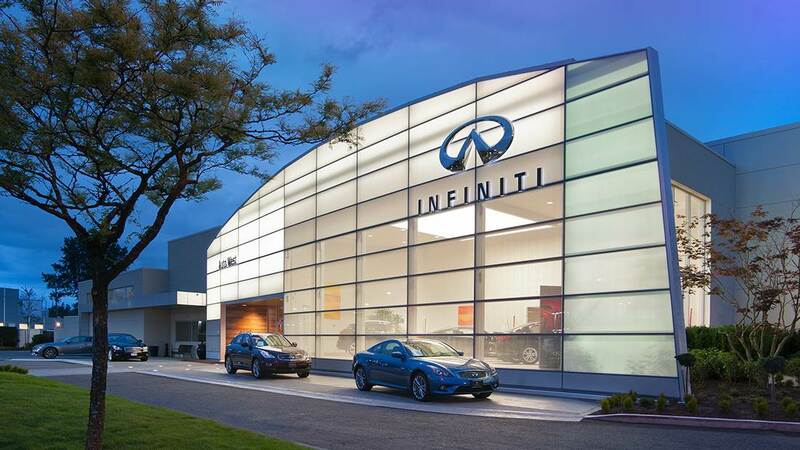 Stunning high-end design for each two-story dealership required customized planning and specific, visually appealing products. 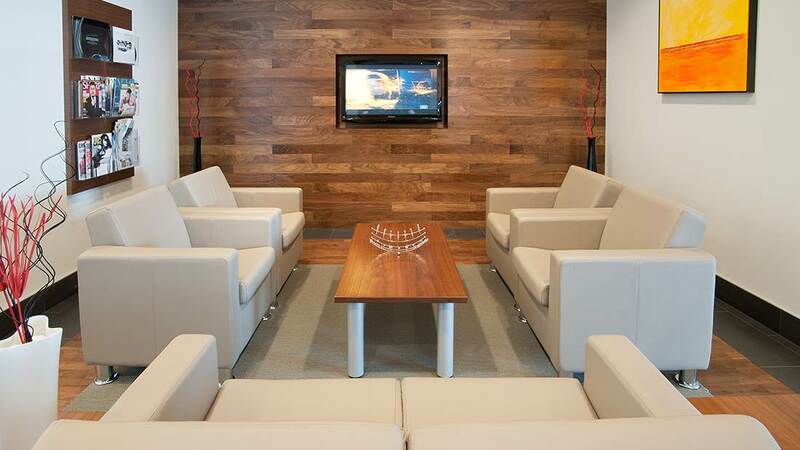 Each location features a unique gallery-style auto showroom, inviting office spaces, meeting and boardroom spaces, and staff and customer lounge areas. Beautiful, environmentally friendly finishes include glass, wood and natural materials like Canadian veneer on desks and tables and luxurious Italian leather seating.